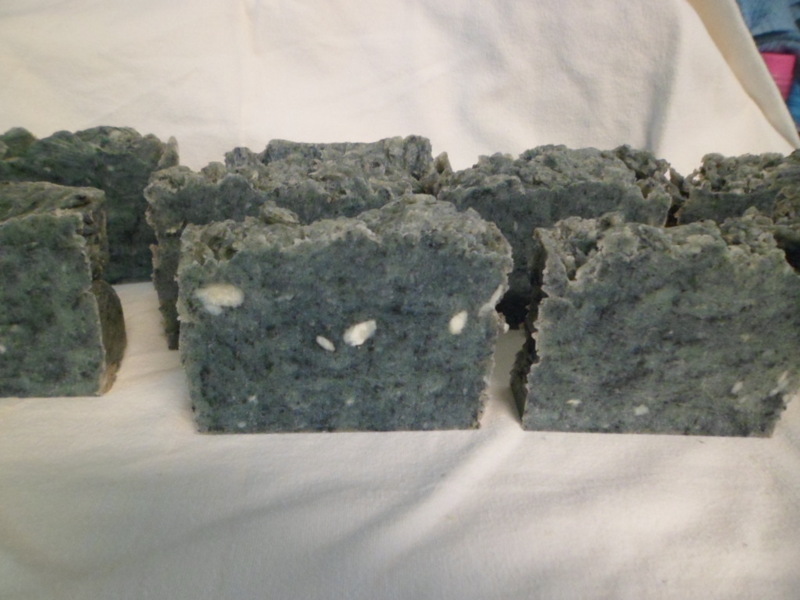 Welcome to our Essential Oil Hot Process Soap Page. 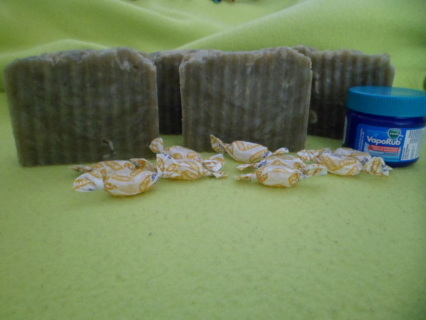 Here you will find some of our Favorite Essential Oil soaps. 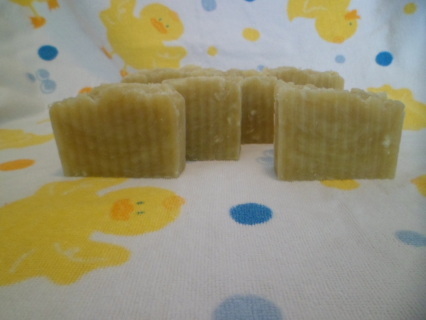 Essential Oil soaps are made for healing and not so much the smell, though they do smell beautiful. Essential Oil soaps absorb into the skin rather than sit on the skin like Fragrance OIl soaps Do so keep that in mind when chosing a soap to buy. loving oils to clean and moisturize your skin. This bar is our new April edition. It was created out of love for my daughter and all those who suffer from oily skin and acne. 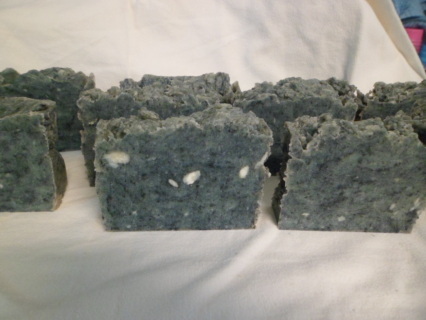 This bar is made with Rosemary, Tea Tree, Peppermint, Lemongrass and Tangerine Esssential Oils, and colored gray with activated charcoal ( known to pull toxins out of the body) . This bar has been Teen tested and approved for both oily face and skin , and even hair. 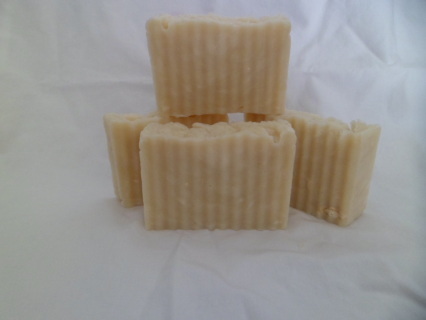 The best way to use this bar is to apply to the skin and let it sit for at least 45 -60 seconds , then clean off. Your face will feel clean and fresh. it up to your nose and taking some deep breaths with it. It won'tcure your cold but it definitely will help. use on pets to kill fleas. Created with skin loving oils and no colorant. Soothing Skin bar was created with the person who may have a skin condition that causes, itching , flaking and dry skin such as eczema and psorisis. Scented with Lavendar , Peppermint, Tea Tree, and Black Cumin, its lightly scented and with just enough essential oils to sooth your skin. Ingredients: Olive Oil, Coconut Oil, Soybean Oil, Shea Butter, Vitamin E and Glycerin,Lavender, Peppermint, Tea Tree and Black Cumin. No colorants. 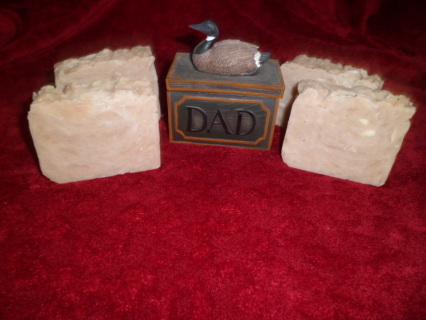 Pamper your skin with goat's milk soap. 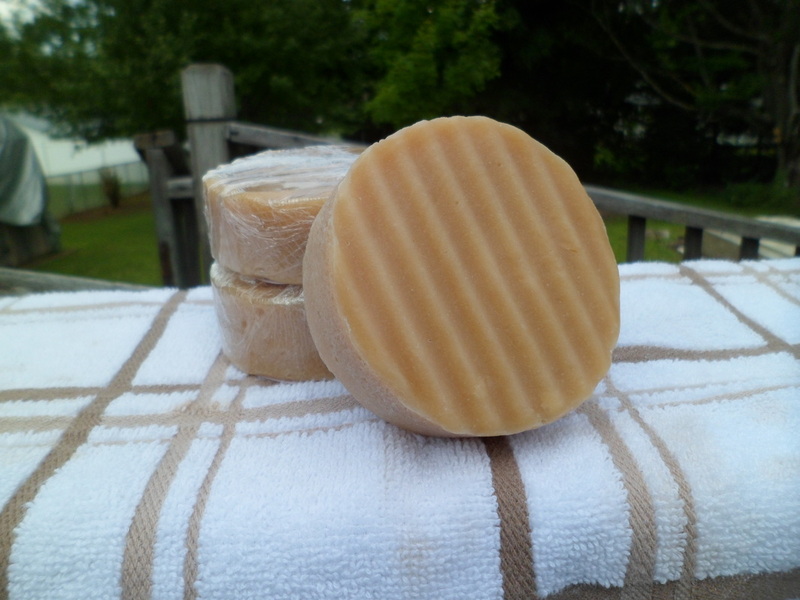 This soap smells great and is great for those who have dry skin. Even if you don't you'll still be pampering your skin as goat's milk contains vitamins such as : A, B, C, D , E. and K.
PLEASE NOTE: IF YOU HAVE ANY REACTION TO ANY OF OUR SOAPS,, PLEASE DISCONTINUE USE, AND SEEK PROPER MEDICAL ATTENTION. THERE IS NO WAY FOR US TO KNOW WHO IS GOING TO REACT TO A PARTICULAR SOAP. PLEASE READ WHAT WE HAVE IN OUR INGREDIENTS BEFORE PURCHASING .